The broth is tasty and warm. The noodles is soft and yummy. It is such a delight to eat a bowl of noodles when youre hungry and tired. 1. 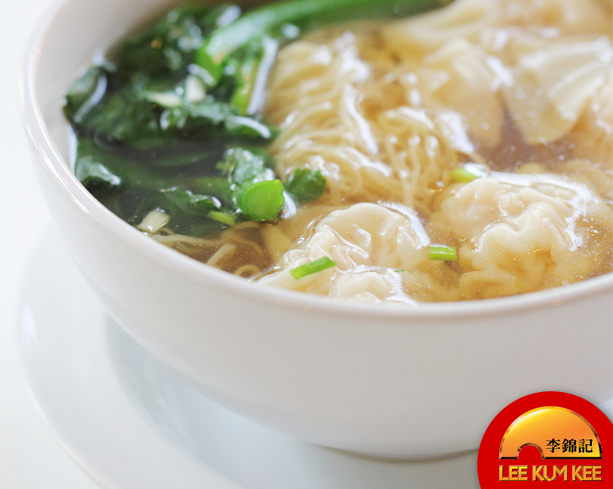 Cook raw noodles in boiling water until done. Rinse well with water. Drain. 2. Bring water and Lee Kum Kee soup base to boil. Add wantons and bokchoy. Cook for 3 minutes or until done. Take out and keep warm. 3. Add raw noodles and heat through. Put raw noodles and soup on 3 serving bowls. Arrange wanton and bokchoy on top.